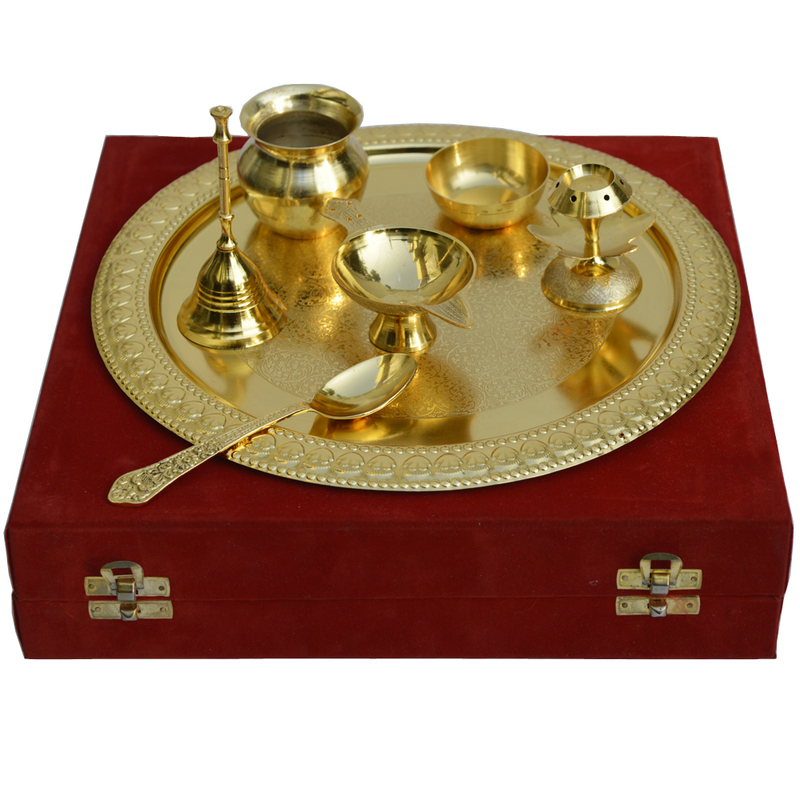 The German Silver Golden Pooja Thali offers the complete set of items that anyone would have a need of for performing various religious rites on Read More..any auspicious occasion. This set includes items such as little tiny bowls, spoon, a tiny round vessel, traditional bell and incense stand, which are essential for performing various rituals on auspicious occasions. Finally, the golden glitter and fine finish makes it the ideal addition to any home temple. Show Less..